Geoff Rowley, Liverpool’s most well mannered madman, has come out with a new shoe model from Vans that combines simplicity, durability and functionality into one heavy package. With a Skater of the Year award in his track record from 2000, three increasingly jaw-dropping video parts from FLIP’s “Sorry” series and his support for Vans since 1999 (even credited with bringing the vulcanized shoe back into skateboarding), Geoff and his newest shoe release is sure to have skaters curious about how much shredding the slim looking shoe can actually endure. Vans has been running the slogan, “Built Strong” with the release of this shoe, so we at Weartested got gritty on the board for 10 hours and put it to the test. How strong is Vans’ idea of strong? Check out the review below. The Vans Rowley Solo runs big, we recommend going a half size down. Durability is the a focus point of this model. Vans put a lot of attention to detail in regards to increasing the lifespan of the shoe’s durability. For starters, the shoe features Duracap, which is their technological term for rubber underlays that reinforce the most worn out parts of the shoe. In this specific model, there is noticeable Duracap reinforcement within the toecap, which is much thicker when you compare it to similar models like the Pro Era. Moreover, Vans incorporated the Duracap on the lateral side of the shoe, stitching in triple layered reinforcement that protects the kick flip and Ollie area. Another feature that Vans put attention towards is the tapered shoelace eyelets that made the shoelace durability last much longer. The eyelets start off narrow and ascend into a “V” shape, which successfully prevented grip tape from ripping apart the shoelaces during our 10 hour test. 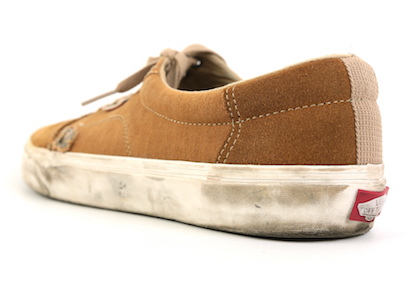 However, even with all the added technical features, the overall durability of the shoe was average; the canvas model ripped through in just after four hours of skating, right where the Duracap reinforcement was. Yet although it ripped quite fast, the reinforcement layers proved to still increase the lifespan of the shoe’s skateability. The Rowley Solo is equipped with Vans’ ULTRACUSH HD cushioning technology. It is extremely lightweight and PU based (polyurethane), with its overall aim to increase boardfeel without sacrificing cushioning. During the test, cushioning was excellent for your basic flat ground to five stair impacts, but was a bit under equipped for larger stair sets and gaps. With that said, Vans’ offers the ULTRACUSH HD cushioning with a gel inlay for larger impacts in other models like the Pro classics and TNT 5. Most vulcanized shoes have a bit of an awkward shape at first when skating. They feel a bit imbalanced with the heavy vulc and the light upper. 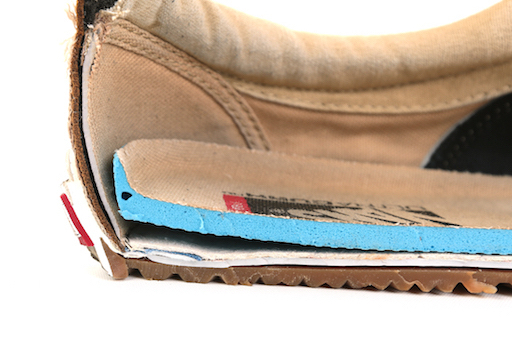 But the Rowley Solo does a good job maintaining balance all around the shoe. Although the shoe itself looks like a slim fit, it is quite wide in the midfoot section, allowing enough room for your toes to stretch out, but tapers into a rounded point in the forefoot area, securing a snug fit for the foot. The boardfeel of this model was good; cushioning had room for improvement, but the boardfeel was on point. At first, the model was a bit bulky, but after about an hour of skating, the boardfeel improved, most likely due to the ULTRACUSH cushioning absorbing more impact and molding a tighter foot shape. 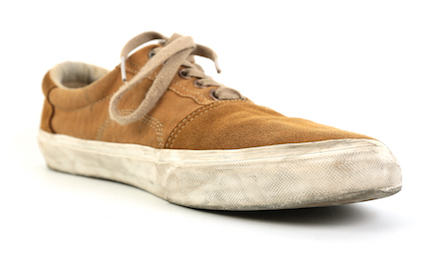 The vulc, as with most Vans models, proved to be extremely grippy. Their classic formula fails to disappoint. However, the vulcanized grip does wear off fast after skating. Initially, the grip connects perfectly with the board for ollies and flicks. But after a while of skating, the vulcanized grip will wear down and slightly taper, affecting the consistency of the flick much more. Although the vulcanized rubber wore down, the Duracap toe piece was fully intact, with no rips and barely any wear. Moreover, the stability of the Duracap toe piece still held its rigid structure, unlike most models that have a toe-piece that become softer and softer after skating. As aforementioned, the shoe’s shape helps increase the comfort of the shoe. In this model’s case, the comfort gets better and better as you skate more. But there is definitely room for improvement in regards to ventilation. There are ventilation holes that allow airflow for the feet in this model, which means sweat and moisture will get trapped in the shoe as you skate. Trapped moisture within the shoe itself will also affect the shoe’s shape from within, altering most suede toe-caps from flat to wavy. But surprisingly, the Duracap within the toe piece helped prevent moisture absorption as well, so although there was trapped moisture in the shoe, not much affected the actual toe-piece’s structure. As a low-rise profile shoe, the stability is average. Your ankles are left open and exposed, but its low-rise shape allows room for more control for ankle rotation. If you’ve sprained your ankle before, this may not be the best shoe for you. The Rowley Solo is the Era Pro’s more skate-adapted cousin, offering awesome comfort and boardfeel while maintaining adequate durability. 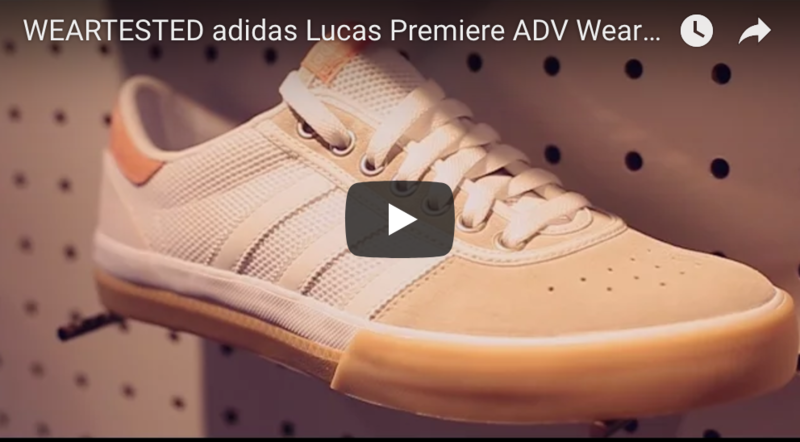 There is definitely room for improvement in regards to the shoe’s breathability and stability, but overall a well-equipped low profile shoe for your summer skate sessions.